Commercial Van Overview and Market Data Insights is a report delivering an update on this popular vehicle segment and its influence on work truck industry dynamics. 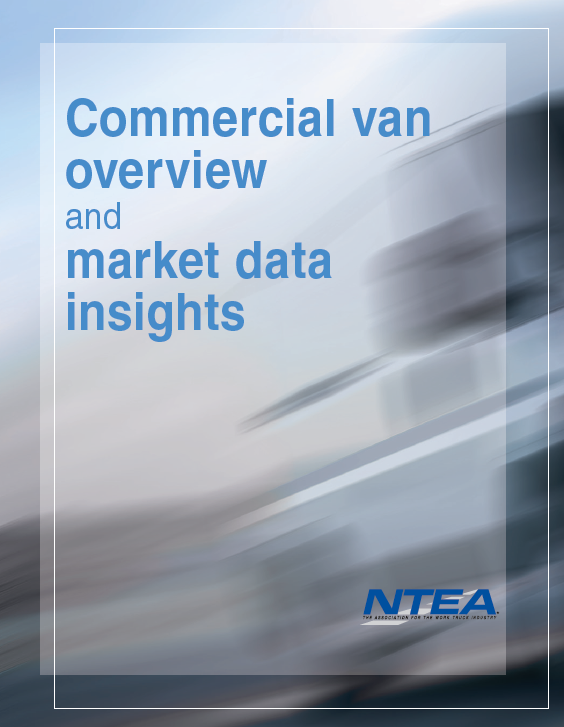 In this publication, NTEA summarizes available van platforms and upfit options; shares perspective on current and expected activity in the marketplace; and highlights a variety of reputable data sources. In the last decade, few segments of the industry have experienced as much change as the van market. Beyond cosmetic enhancements, a broader range of sizes, utility, engines and drivetrains now exist for North American customers. NTEA members can download Commercial Van Overview and Market Data Insights for free; NTEA nonmembers can purchase it for $99. It’s available in digital format only. Not a member? Browse the benefits of membership, and contact Emily Hooks (248-479-8154; emily@ntea.com) to discuss your options.